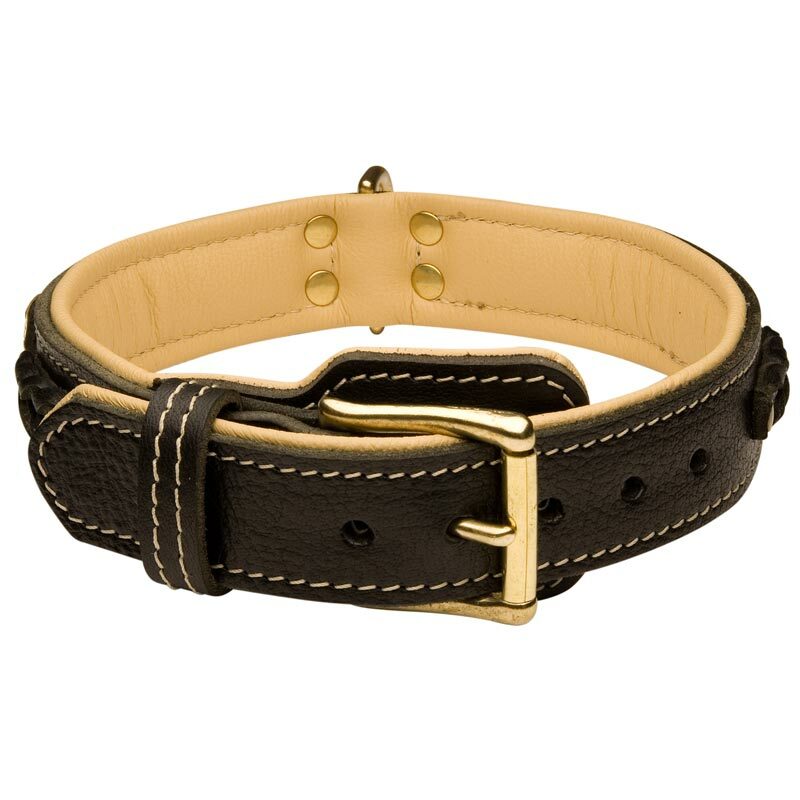 Made of premium quality dog safe materials, this Collar is a great dog item for obedience training; it won’t probably break or tear and will serve you for many years. 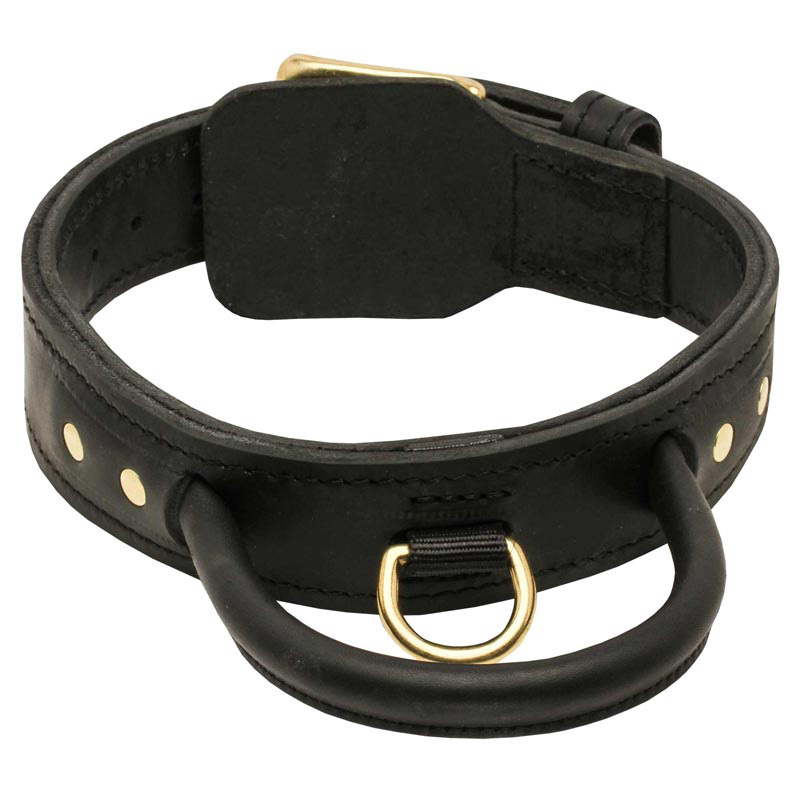 Leather is extra soft, pleasant to touch and can withstand overload during hard pulling. Also it is soft enough not to rub or irritate your Rottweiler’s skin. 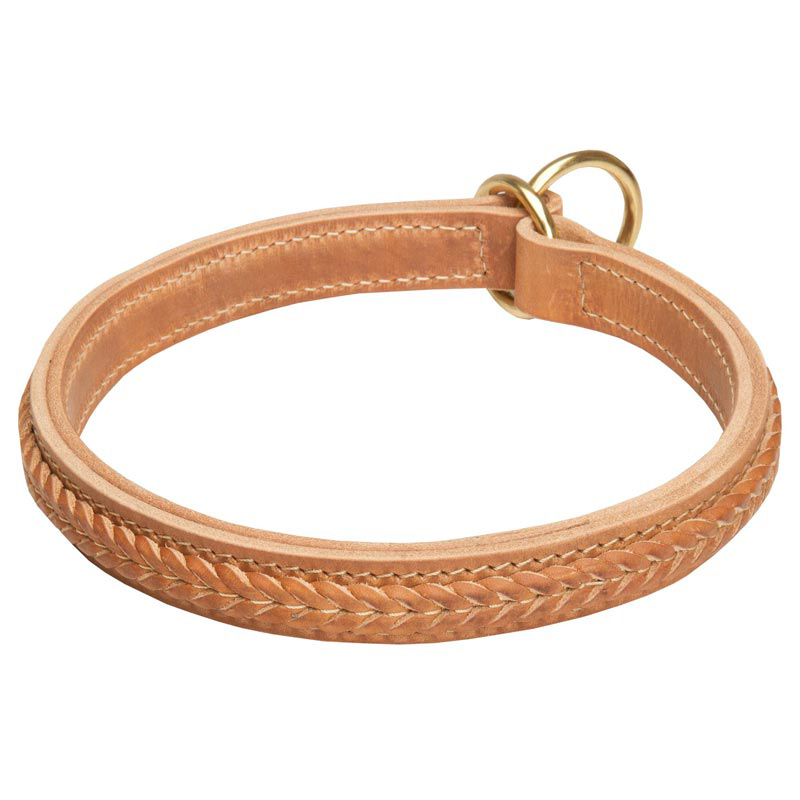 Using this Choke Collar it will be much easier for you to cope with your dog’s behavior. 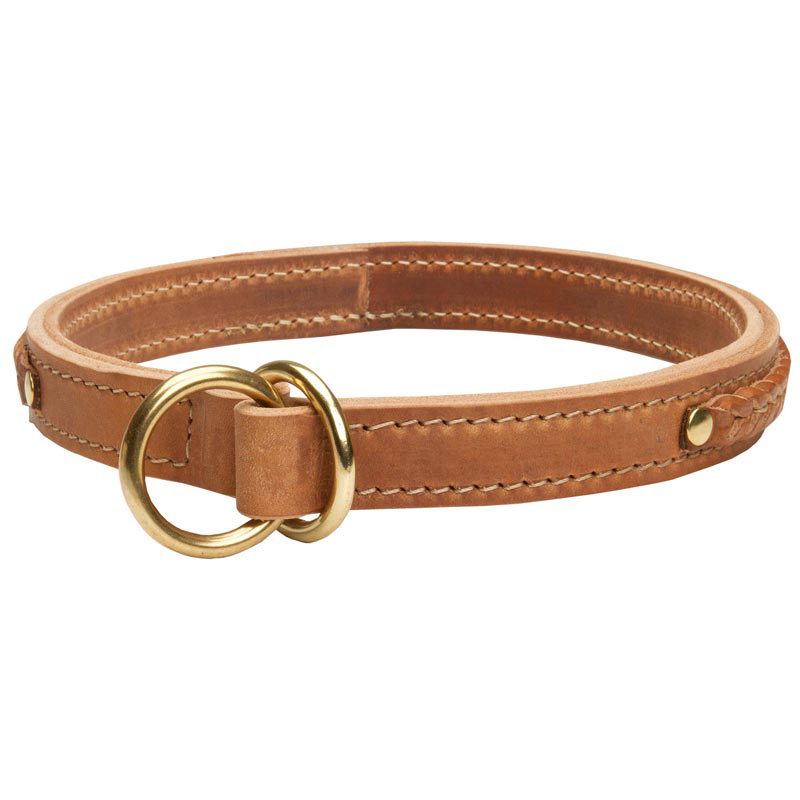 All the fittings are made of brass that is resistant to rust and corrosion. 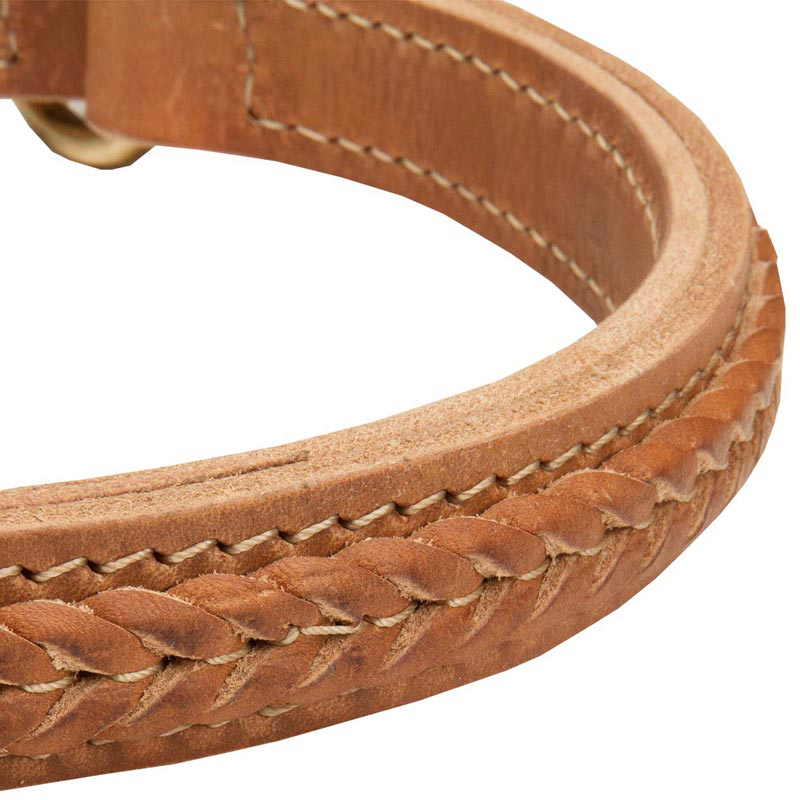 Besides, elegant braids make this Dog Collar look extremely stylish.